This is meant as a guide to help you design a vampire that is roughly within game balance. They are not “set in stone” rules. The important thing is to have fun and be creative. The sect of a vampire (Camarilla, Anarch, Sabbat, Independent, Laibon) is free. Daimoinon – If you give the vampire Daimoinon, also give it the Infernal attribute and get 2 extra points to spend. Obeah – If you give the vampire Obeah, also give it the Scarce attribute for free. Temporis – If you give the vampire Temporis, also give it the Scarce attribute for free. Gargoyles – If the vampire is a Gargoyle, give it Flight for free. You can also give it the Slave attribute for free. Baali – If the vampire is Baali, give it the Infernal attribute and get 2 extra points to spend. Blood Brothers – If the vampire is a Blood Brother, give it a city Circle and the Sterile attribute for free. Ahrimanes – If the vampire is an Ahrimane, give it the Sterile attribute for free. Salubri – If the vampire is a Salubri, give it the Scarce attribute for free. True Brujah – If the vampire is a True Brujah, give it the Scarce attribute for free. Nagaraja – If the vampire is a Nagaraja, give it the Scarce attribute for free. Black Hand – If the vampire is Sabbat, you can give it the Black Hand attribute for free. Seraph – If the vampire is Sabbat and Black Hand, you can give it the Seraph attribute for 1 point. We recommend that this only be given to vampire of capacity 6 or greater. Advanced (0 points): You can give your vampire the Advanced attribute. 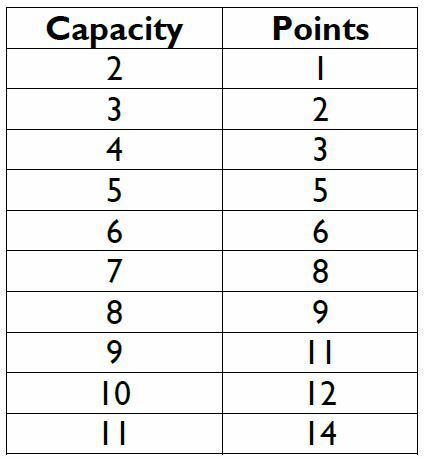 The advanced vampire’s capacity must be the same (no cost) as the base vampire or one higher (0.5 points). The advanced vampire must have the same disciplines as the base vampire (paying the same cost), and may spend additional points on disciplines. 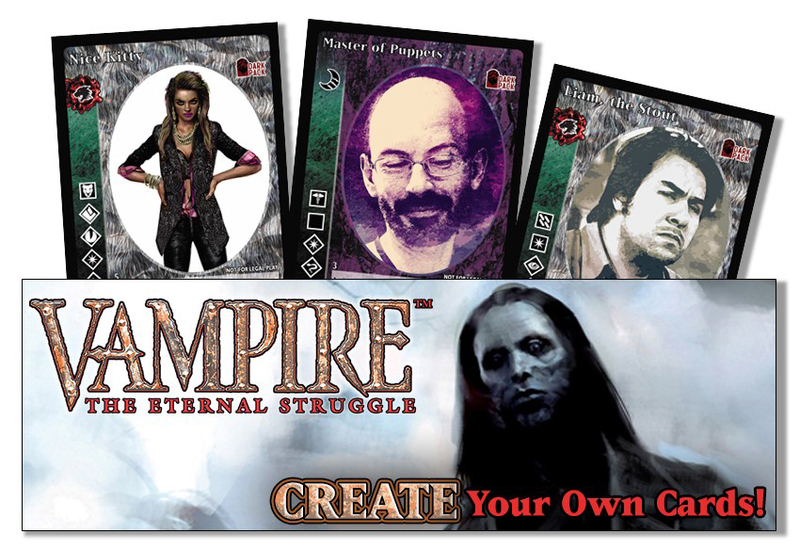 Any leftover points from the base version and advanced version of the vampire may be used towards the Merged text. These points are doubled, with a maximum of 6 points for the Merged text. The abilities, titles, and attributes in merged text don’t count against any of the “only 1 vampire may have this” restrictions, but cannot have been used in either the base version’s text nor the advanced version’s non-merged text. Red List: You can give the vampire the Red List attribute and get 1.5 extra point to spend. Flight: You can give the vampire Flight for 1 point. 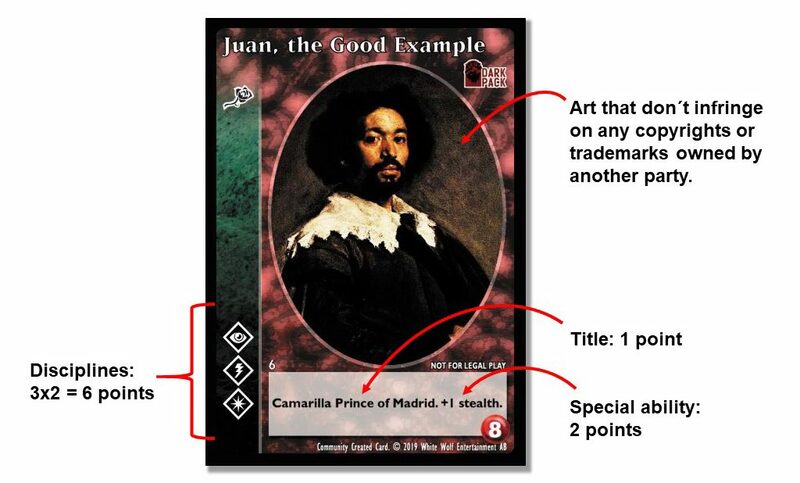 These guidelines are also found in the Card Creator at Drivethrucards.com and can be downloaded as a PDF document.